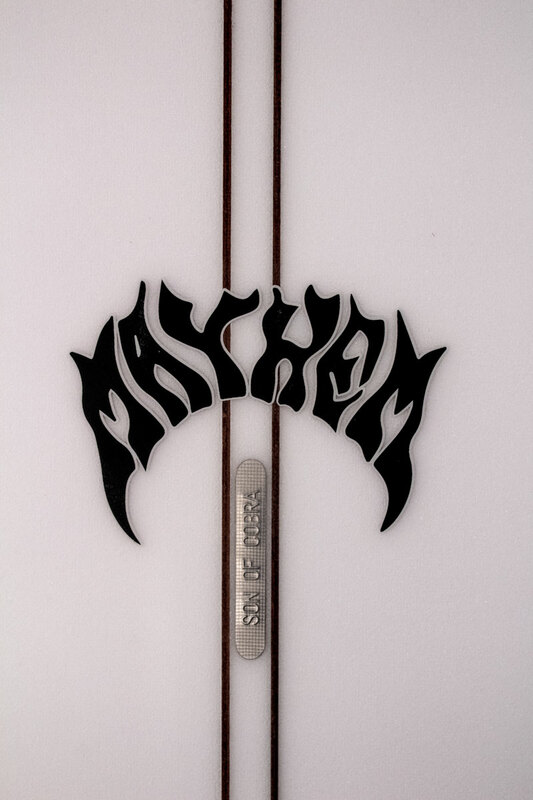 The COBRA KILLER: A special collaboration between Matt Biolos and The “Son Of Cobra” (Paul Lefevre, formerly of The LuckyBastards). Not released yet but are available for special order from your local retailer. “The “Son Of Cobra” (Paul Lefevre) is world renowned for his ResinWorks artistry, but Paul is equally adept at the craft of shaping. 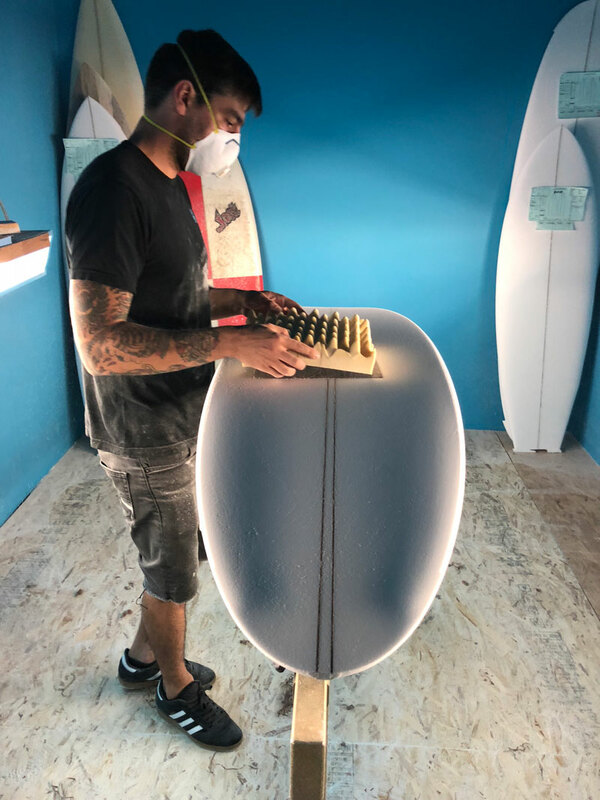 I’ve said for years that Paul may be the most naturally talented, all around board builder, that I’ve worked with in all my years” – Matt Biolos. 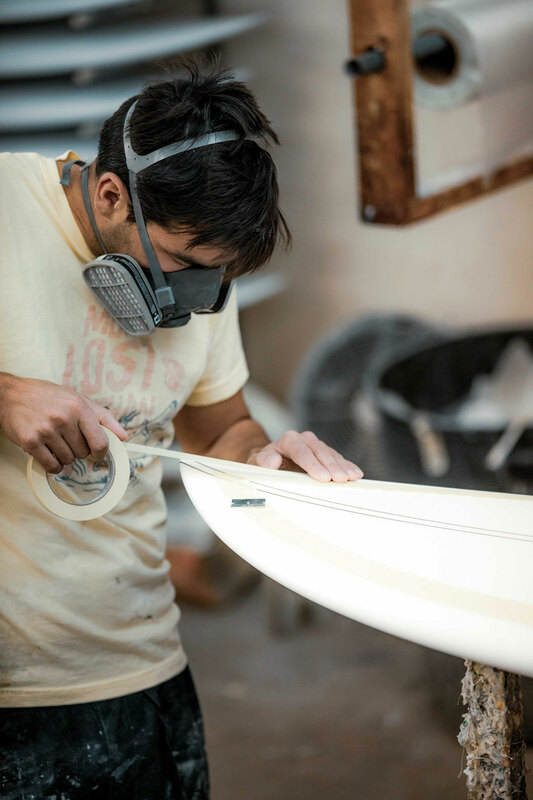 The COBRA KILLER is first and foremost, a Post Modern Twin-fin. Designed around Paul’s unique, and exceedingly deep, double concave bottom. It really piqued my interest to pair it with one of our proven models. We effectively merged his bottom contours into the outline, foil, rails and primary rocker of the time tested QuiverKiller. Thus, the name “COBRA KILLER”. Due to the relatively pulled in, rounded pin, being paired with the deep concave behind the fins, the COBRA KILLER needs no trailer fin, and is built exclusively as a Twin. As Paul says “It’s really fast. Gives lots of drive. Makes sharp turns (with great responsiveness) and is not so loose, for a Twin Fin. It rides very lively under foot, yet surprisingly solid and firm. It can be ridden with confidence, without fear of sliding out, or drifting”. Of course, it wouldn’t be a “Son Of Cobra” project without some added flair and fanciness. The COBRA KILLER also comes with artistically beautiful bells and whistles. Each shaped blank is built with dual, dark wood stringers. Thin enough for flex, but the 1/2” gap between them reduces unwanted twist and torsion. • One of a kind, embossed metal, glassed in label. • Model specific, minimalistic “…Lost x Cobra” and mini Mayhem logos. • Paul’s uniquely laminated, pastel palette, resin tints, with fin and tail patches. Easy on the eyes, and fabulously fun to ride, these boards are truly pieces of performing art.